A Super Fruit Blend A blend of blueberries, boysenberries, elderberries, blackberries, red raspberries combines to form a nutritional powerhouse. 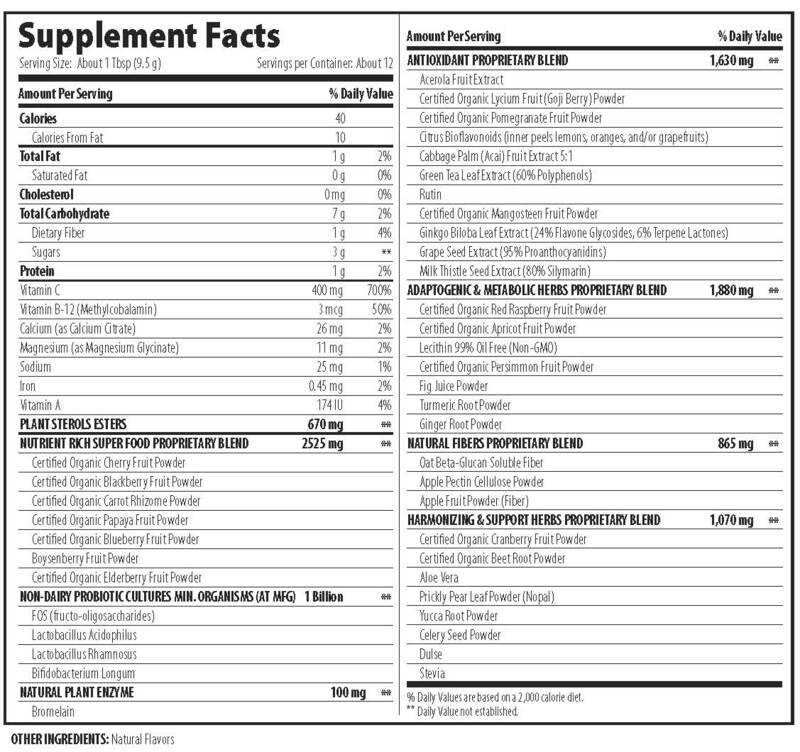 Packed with antioxidants proven to help protect against chronic disease and inhibit tumor development, these important disease-fighting compounds mop-up unstable free radicals that damage cells. Evidence suggests pomegranate improves cardiovascular function, brain tissue, bone mass and prostate health, and has anti-aging and immune system benefits. All are high in polyphenols, carotenes, and phytonutrient antioxidants—compounds sorely missing in typical diets. 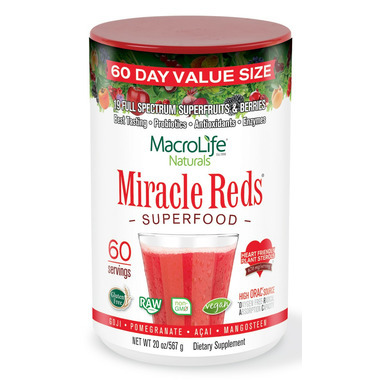 This product tastes good and is loaded with red super foods. According to Dr. Gary Null, red foods are needed for repairing cellular damage to your body and can actually help reverse hair loss.